The third issue in the Clients Driving Innovation trilogy Benefiting from Innovation was officially launched by Managing Director of John Holland Group David Stewart at the Construction Innovation sponsored session at the Australian Institute of Project Management conference in Canberra on 13 October. sustainable construction for the future. The trilogy canvasses the role of clients in facilitating innovation in the construction industry. It draws upon cutting-edge research on clients, designers, constructors and facility managers to showcase how applied research translates into practical solutions for construction professionals. 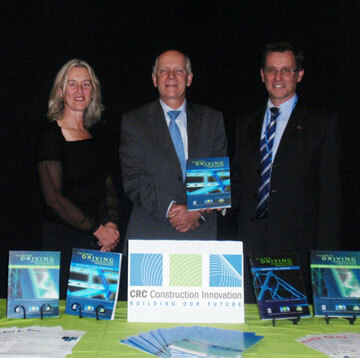 As was the case for the earlier two volumes, Mapping the Terrain and Moving Ideas into Practice, the content for the third book in the series has been principally derived from leading papers presented at the CRC for Construction Innovation’s most international conferences held in 2004, 2006 and 2008 respectively. These books are a key project of the Clients and Construction Innovation Task Group (TG58) of the International Council for Research and Innovation in Construction and Building (CIB). 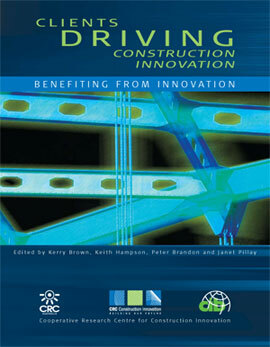 Published by the CRC for Construction Innovation and retailing for $49.95 (including GST).